Stand N151. Blyweert Beaufort will be showcasing key elements of its high performance window, door and facade systems including Triton HI parallel opening vents, Krios entrance doors and Kratos curtain as well as its latest solar shading solutions. The stand will also include interactive touch screen presentations that highlight the detail behind the designs, such as high thermal insulation using patented Spidertechnology polyamide thermal breaks, Secured by Design options for windows and doors in at-risk installations and Bioclimatic architecture that integrates building design and the environment. A new generation Aeropac sound insulating ventilator is to be displayed for the first time in the UK at Ecobuild 2011 by Carl F Groupco. 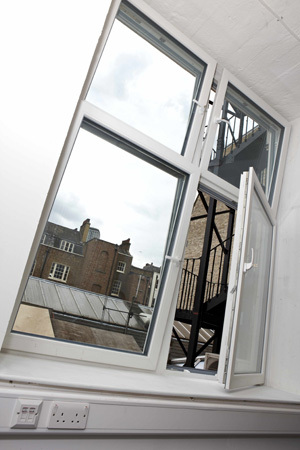 The company has previously offered static ventilators as part of its portfolio of window and door hardware. This new product, manufactured in Europe, moves Carl F Groupco into the growing market for powered ventilation. 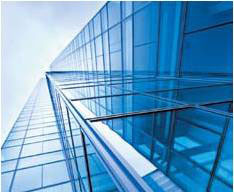 Increasingly, standards for both domestic and commercial properties will demand the movement of a minimum volume of air. The Aeropac acoustic ventilator will meet, and substantially exceed those requirements. 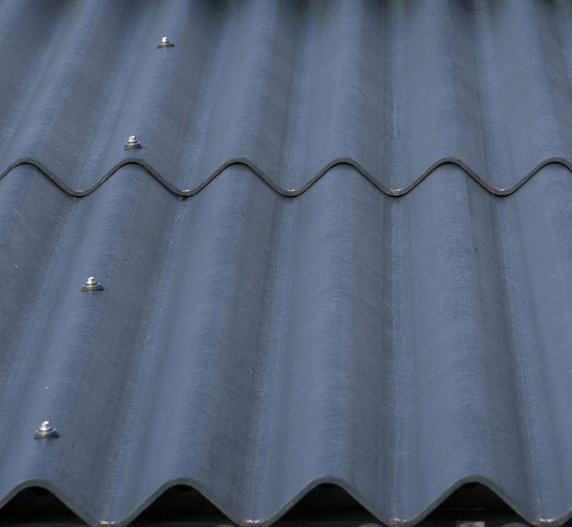 Additionally, the stylish ventilation solution offers a high level of sound insulation making it particularly suitable for applications where noise is a problem eg, near airports, railway lines, or major roads. The fan component runs virtually silently, ensuring that secure ventilation can be provided at all times – this avoids the need to open windows at night during hot periods and therefore addresses issues of security. Deceuninck will be at Ecobuild. Deceuninck stand will showcase its range of energy efficient products in attractive styles and colours that are ideal for the refurbishment and new build sectors. Deceuninck will have a wide range of its products on display at its stand, which is number N553 in the North Hall of ExCel. Several new products will be exhibited for the first time at the show. The first of these is the Monorail sliding patio door which offers a sleek and stylish solution. The second is a new addition to Deceuninck 2800 series, an A rated casement window in a classic style. The third product remains under wraps for the time being but it’s in keeping with Deceuninck reputation for focusing on window aesthetics and thermal performance which is certain to generate considerable interest. Stand S1763 Using sonar technology, the Dyteqta-System monitors a building’s drainage network and detects any loss of water trap seals. When these vital seals are lost, sewer gas containing contaminated air and harmful pathogens present in the drainage and sewer system can enter the building and spread infection. The protection afforded by water-based trap seals is substantial but has a number of weaknesses. Air pressure transients (surges) generated when flushing toilets, for example, can displace water in the seal, and water in the trap seal of an unused appliance can evaporate over time. 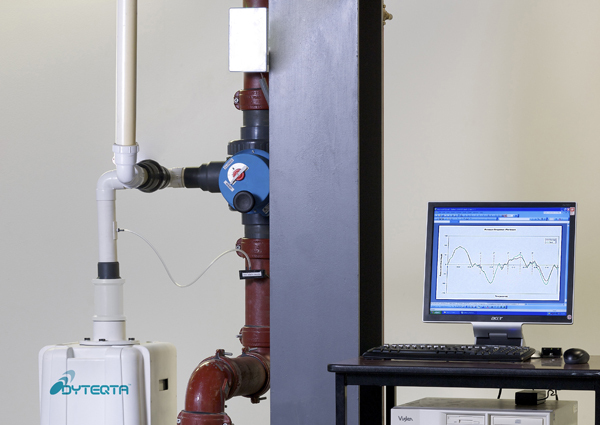 Visitors to Dyteqta’s stand can see the world’s first dedicated non-invasive, non-destructive, fully automatic drainage monitoring system in operation connected to a test rig. They will also have the opportunity to meet the company’s trained team and find out how they can protect their building from cross contamination with the Dyteqta-System. Marley Eternit is inviting Ecobuild visitors to call into its rediscovery centre at stand N966 where they can explore the sustainable and aesthetic potential of fibre cement slates and cladding. Marley Eternit will also be unveiling its new range of Solesia PV systems at the show. One of the UK’s top rated independent renewable energy design and installation companies, Photon Energy will be exhibiting its range of solar photovoltaic (PV) and solar thermal systems at this year’s Ecobuild show. In addition, the company will officially launch Suntricity – solar PV package designed specifically for electrical installers and self-builders. With the introduction of the feed-in tariff in April last year, renewable energy systems, in particular solar PV, have become increasingly popular for businesses, house-builders, housing associations and public sector organisations. Photon Energy will be at stand N1450 to explain how you can take advantage of the feed-in tariff. 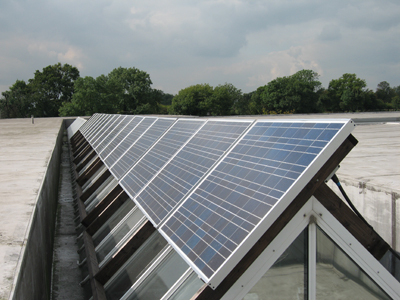 Photon Energy specialises in the design, supply, installation and maintenance of solar PV and solar water heating systems as well as wind turbines. The company was established in 2006, and has become one of the UK’s leading independent installers of micro-generation technologies. The company offers a full turnkey design, supply, installation and maintenance package and works on both new-build and retrofit projects. Clients have included some of the UK’s major house builders such as Willmott Dixon, Hill Partnerships, Persimmon Homes and Leadbitter Homes. The company has also worked for some of the country’s major construction companies such as Volker Fitzpatrick, Kier and Wates Group. Photon Energy has installed renewable energy systems for housing associations, local councils, further education colleges, schools and community centres and NHS Trusts. Photon Energy will also be demonstrating how easy it is to install solar PV with the new Suntricity kits, designed so that electrical contractors can offer solar PV to the domestic market and small businesses in the UK. The package comprises a comprehensive design and supply offering available directly from the company or via electrical wholesalers, plus optional help with commissioning. At EcoBuild 2010, PhotonStarLED will reveal its new Nemesis SmartLuminaire, which offers a superior alternative to ordinary compact fluorescent luminaires. The efficient (46-86 lm/circ Watt subject to dimming level), high power (up to 3220 lumens), low glare (UGR 19) downlight, features local daylight linking (an integral work plane lux sensor per fitting with lux levels set during install by remote control), variable efficiency, thermal protection and luminaire based intelligence with onboard microprocessor. The SmartLuminaire controller monitors the lux level on the work plane and automatically and smoothly adapts the light output to the level set on the remote control installation. This, when combined with occupancy sensor inputs, can save up to 70% of the energy usage, in addition to the 40%-60% saved when upgrading to the LED Nemesis from a CFL downlight. The SmartLuminaire can be smoothly dimmed from its maximum with 0.5% resolution down to less than 1%. This opens the opportunity of varying the efficiencies in high occupancy areas such as corridors while achieving up to 86 luminaire lumens / circuit Watt with adequate light levels for security whilst unoccupied. Intelligent luminaire power delivery ensures maximum lifetime – the SmartLuminaire controller monitors the LED board to ensure that the LEDs are maintained within optimum operating temperatures ensuring maximum luminaire lifetime. 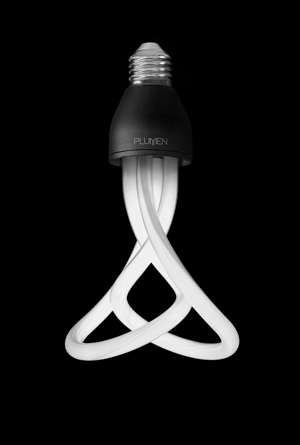 The Plumen bulb uses 80% less energy and lasts eight times longer than incandescent bulbs, giving you the opportunity to purchase an ecological product with style. It works just like any low energy bulb but it has a lot more presence. "It’s strange that the bulb, an object so synonymous with ideas, is almost entirely absent of imagination,” said Nicolas Roope, Hulger co-founder and creative director. Celebrating its 30th anniversary year and exhibiting at Ecobuild for the second time, Ritec International will be demonstrating its latest developments to increase the lifetime efficiency of solar panels and maximise energy savings in buildings through durable surface protection systems. 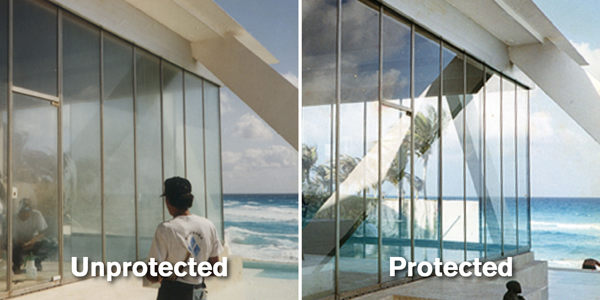 This includes the ClearShield System for the renovation, protection and maintenance of glass and the Ritecoat System for metals and powder coatings. Visitors can see time tested solutions developed to increase the efficiency of solar panels with ClearShield High-Light Glass, reduce the cleaning of external glass with ClearShield Energy Saving Glass, help prevent the growth of harmful bacteria with ClearShield Anti-Microbial Glass, and ensure interior glass retains its sparkling appearance with ClearShield Low-M (Low-Maintenance) Glass. All formulations are proven to cut the cost, time and environmental impacts of cleaning. International building materials company Saint-Gobain is set to have a major presence at Ecobuild 2011 with a 225m² stand (N310) showcasing products and systems from its UK businesses. Visitors will also have the opportunity to book consultations at its technical clinic which will provide practical advice on how to maximise the sustainability of buildings through a fabric first approach. Its companies will feature in the Renew and Extreme Timber areas as well as the Passivhaus Pavilion, making it Saint-Gobain’s biggest and best Ecobuild to date. Sustainable products will be on display from Saint-Gobain Abrasives, Saint-Gobain Glass, British Gypsum, Ecophon, Isover, Saint-Gobain PAM, Pasquill, Solaglas and Weber. These will include internal, separating and external wall systems for timber, masonry and steel new build and refurbishment construction, room-in-the-roof and ceiling solutions, as well as glazing and pipe products for both residential and commercial applications. Saint-Gobain’s technical consultations will enable attendees to book 30 minute slots with the company’s technical materials experts, who will be on hand to offer advice on a range of areas including energy-efficiency and acoustics. Appointments can be booked online at www.ecobuild.saint-gobain.co.uk, where visitors can enter details about the specific project they wish to discuss to ensure that they are matched with the most relevant technical experts. Stand S310. The largest stand at Ecobuild 2011 belongs to building envelope and solar energy specialist, Schueco UK, which sees the exhibition at the Excel Centre as being an unbeatable showcase for its solar thermal and PV products and its range of window, facade and door systems. This year Schueco is further demonstrating its support for the show by sponsoring the lanyards handed out to Ecobuild visitors. 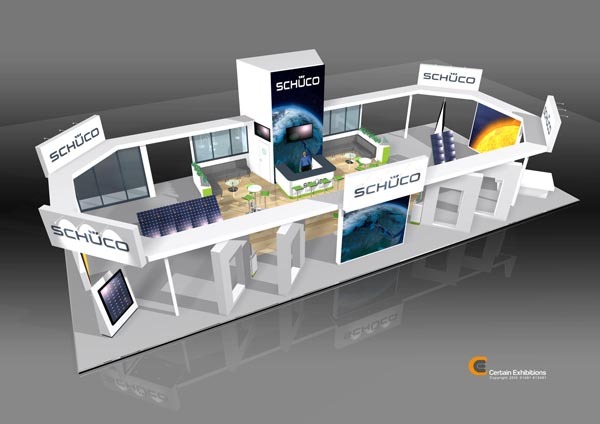 The underlying theme of the Schueco stand is Energy2 – Saving Energy Generating Energy – an overarching corporate strategy that links the high levels of insulation in Schueco's aluminium systems with the sustainable energy generated from the company's solar products. 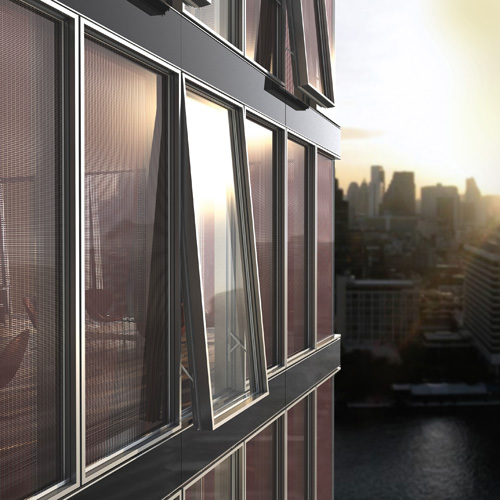 In this context, of special interest is an AWS window fitted with ProSol TF, Schueco's new thin-film PV product which is being seen as a significant milestone in building-integrated photovoltaics, with the ability to set new standards in the design of solar facade architecture. Also on the stand is the new MSE 100 flat roof east/west mounting system for thin-film modules that enables up to 90% of any given roof area to be utilised for the generation of sustainable energy. In addition, visitors can see PV and solar energy modules, inverters and intelligent monitoring devices that measure and display energy savings. 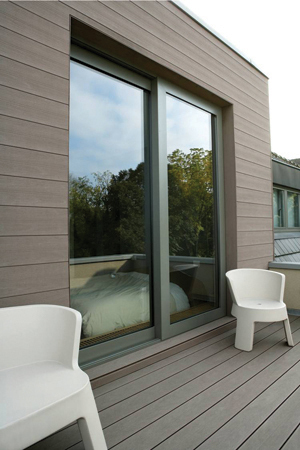 Elsewhere, the stand contains numerous examples of Schueco's aluminium window, door and façade systems including the AWS 75.SI, a 'super-insulated' window capable of delivering typical Uw values of 1.3W/m2K with double glazing and 1.0W/m2K with triple glazing. ProSol TF, the latest solar offering from Schueco UK, combining the latest sustainable photovoltaic thin-film technology with tried-and-tested Schueco aluminium facade systems. Thin-film cells have a number of operational advantages over conventional crystalline PV cells including the fact that they are largely unaffected by shading and can deliver impressive output values even in diffuse light or at higher temperatures. ProSol TF also has the added environmental benefit that its manufacture uses only a fraction of the silicon required to make conventional modules. ProSol TF modules are produced in standard or large formats (up to 2.6m x 2.2m) and can be incorporated into double or triple glazed units ensuring their suitability for both cold and warm facades. In addition, they can be supplied as a ready-to-install, lean-to facade package for use on solid walls (for example, on a warehouse or any other industrial building) and as large louvre solar shading. By using individual laser cutting, colour selection and pattern printing, modules can become building design features in themselves. Solar Windows will be exhibiting a range of solutions in PVC-U and composite materials at Ecobuild which help to create a more efficient building envelope. This will include the new super energy efficient Geneo tilt and turn window fabricated using Rehau profile which can achieve a U-value of between 0.73W/m2K when triple glazed and Argon filled and 1.1 W/m2K when double glazed only. Solar Windows is one of the first Rehau fabricators in the UK to choose the Geneo profile, which is a six chamber system extruded from a new high-tech fibre composite material branded Rau-Fipro. A self reinforced design, it does not require additional steel, eliminating the thermal bridges through which energy can be lost in conventional PVC-U frames. Stand N960. Sunfold will release more information on its new intergraded drainage system. With its folding sliding doors two tracks options allow you to incorporate either a flush or low level threshold where the finished floor is raised to either level with the track or just below it. In doing this you have to be mindful of the drainage and incorporate a drainage facility into the build to remove water. 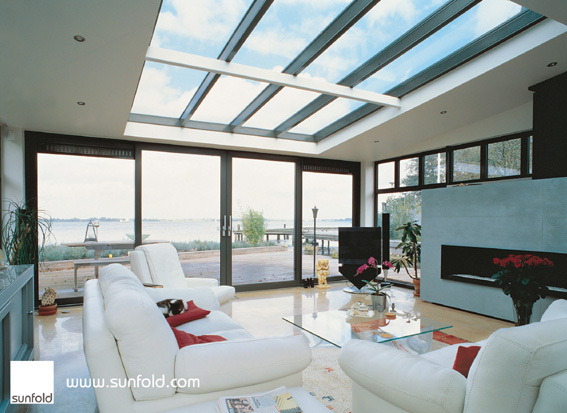 Up until now there has not been a standard option for this but Sunfold is working on a system that can be supplied with its doors to offer this facility along its doors, which can then be also extended along a building. Titon will be exhibiting the latest generation of high specification and ultra‐efficient whole house ventilation units at Ecobuild. Titon will also be displaying its state of the art ventilation accessories and extensive range of trickle vents and sound attenuating ventilation products. To encourage installers, contractors, specifiers and consultants to expand their knowledge of ventilation systems, as well as save money, Titon will also give exclusive show‐only offers on products and training on its stand. The stand will feature the company’s Life Support campaign – highlighting the importance of correct specification and installation of whole house ventilation systems. 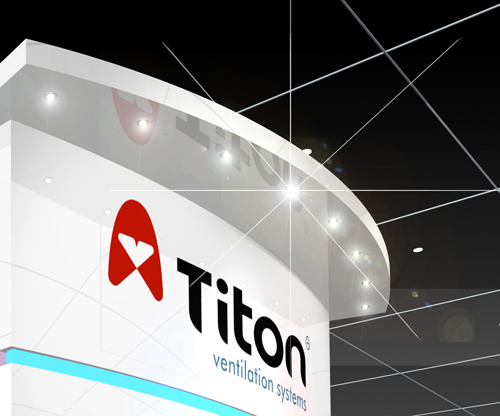 Following its successful attendance at Ecobuild last year, Titon will be showcasing its new additions to the efficient HRV Q Plus range of whole house ventilation (with heat recovery) – all of which are Part F 2010 compliant. Titon’s HRV Q Plus range features some of the most efficient whole house ventilation units on the market, which have been independently tested by the Building Research Establishment (BRE) and are Energy Saving Trust (EST) Best Practice compliant. Along with the HRV range, Titon will be exhibiting its centralised mechanical extract unit – CME1 Q Plus – and its range of background (trickle) vents. 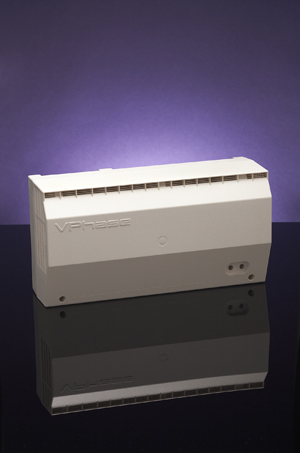 VPhase will be exhibiting its domestic voltage optimisation device at Ecobuild 2011. It is the latest, smart way to help homeowners make immediate and significant money, energy and carbon savings across the whole home; all without changing their lifestyle or supplier. The low-cost VPhase unit, which was heralded ‘Innovative Residential/Domestic Product of the Year’ at the recent Electrical Industry Awards, uses voltage optimisation to reduce and stabilise the incoming voltage to homes, managing it to a stable level of around 220V in the UK. The result is reductions to electricity costs of around 10%, reduced wasted energy and carbon savings that have been calculated to be at least four tonnes over the 25+ year life of the product. VPhase has completed a number of independent trials of the unit, including North West-based housing association, Great Places Housing Group and 50 Scottish and Southern Electric (SSE) customer homes under the UK Government’s Carbon Emissions Reduction Target (CERT) scheme, to determine the lifetime carbon dioxide savings of the device. Winkhaus will be exhibiting at Ecobuild at London Excel Centre on stand N363, where it will be demonstrating how companies can graduate from lift lever locks and start incorporating electronic locking into their product range. To illustrate this Winkhaus’s stand will include the AutoLock AV2 and bluematic AV2E. Winkhaus’ automatic locking range sales grew by over 130% during 2010, and project substantial growth again for 2011. The company claims that automatic locks have become a ‘must have’ requirement for ease of use and peace of mind for residential doors.